Born into a musical family and enriched by the multi-cultural climate of Vancouver, British Columbia, Clara Shandler became a cellist at the age of three. Always determined to make her own way, she took her classical training into other realms: a punk band at age 15, busked regularly to earn her university tuition, collaborated with dance troupes, electronica, metal, folk, and gypsy bands, was the only individual in her graduating class to earn a Bachelor of Music in Music Scholarship degree from the University of British Columbia, embarked on a one-woman "Free Cello Concert" tour around North America at age 22, and released three solo albums before her 24th birthday. Clara Shandler is a modern-day, musical version of Robin Hood - collecting from the rich and giving to the poor. After she earns her modest living she donates every extra cent of her income to Singing Tree to travel to Cambodia, Burma, and beyond to teach, perform, and share music. 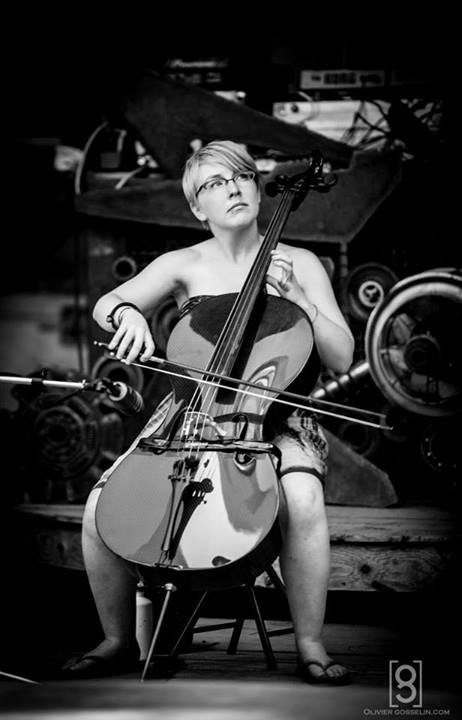 She teaches cello and acts as Vice President for the East Vancouver Community Music School, writes a weekly blog, hosts a bi-weekly Score Slam for local composers, participates frequently in Classical Revolution, and performs as often as possible.